HE was the hero of the UEFA Champions League Final in Kiev, scoring what was quickly labelled as one of the best goals in the history of the competition. 10JUN18 – MADRID.- It was a stunning chilena – or bicycle kick – that sent fans around the world to their feet. But off the football pitch, Bale has led a quiet life in Spain. 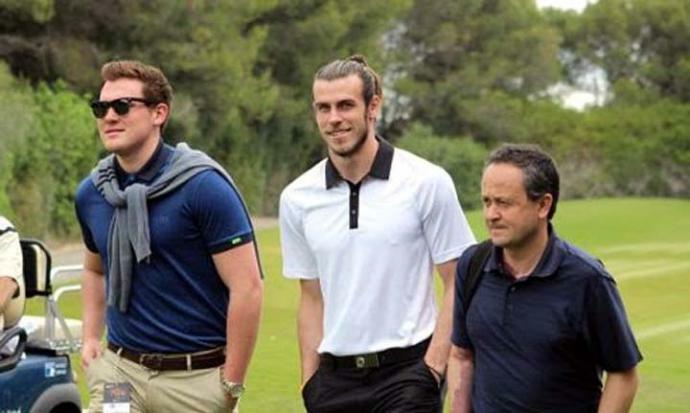 Since moving to Real Madrid in 2013, the Welshman has kept a low profile, only being spotted at exclusive resorts, including the Finca Cortesin on the Costa del Sol. Here are 10 facts about his life in Spain that you might not know. 1: He has two daughters with Spanish names. Five-year-old Alba, which means ‘dawn’ en Español, and Nava, 2, whose name comes from the Basque word naba – meaning a ‘treeless plateau’ or open space next to a mountain. He also has a son, Axel Charles, who was born in Madrid on May 8 this year. 2: Unlike many of us expats who love a caña – or few – in the sun, Bale is strictly T-total and for obvious reasons, doesn’t smoke either. He is engaged to his girlfriend Emma Rhys-Jones, who he has known since he was 11 years old. 3: Unlike many of his colleagues, he is not a big fan hitting up the Spanish fiestas ‘till the break of dawn. He prefers to stay at home playing video games or watching films. 4: He lives with his family in the exclusive La Finca urbanisation, in the upmarket Pozuelo de Alarcón, Madrid. The pricey dwelling boasts famous neighbours like Cristiano Ronaldo and Sergio Ramos. 5: Bale is known for his generosity and earlier this year bought his sister-in-law a new car and a €285,000 home in Cardiff after her husband tragically committed suicide. 6: Like most footballers, he has a vrooming passion for cars. His Madrid pad is home to a Mercedes SLS AMG, Lamborghini Huracán and a Ferrari GTC4Lusso. 7: He rarely speaks in Spanish – although he gave his first full interview in the language last year – but not because he does not know how to, he simply doesn’t feel confident enough to use it yet. Although that didn’t stop former Real Madrid coach John Toshack from calling him ‘disrespectful’ this week for not having learnt the linguo. 8: To get his mind off the beautiful game, Bale loves to go swinging – at golf clubs that is. He even built a golf course in his back garden in Wales. But when in Spain, he prefers golfing hotspots like Finca Cortesin in Casares or Real Club de Valderrama in Sotogrande. 9: But what else does Britain’s most famous expat do with his money? Well, following the likes of Ronaldo and Messi, he puts it into hospitality. Bale has opened several restaurants and bars, including Eleven’s Bar & Grill in Cardiff. 10: Like any other expat, he loves food and good weather. His favourite spots to eat in the capital include Michelin-starred El Filandón and the 30-year-running Mesón Txistu.